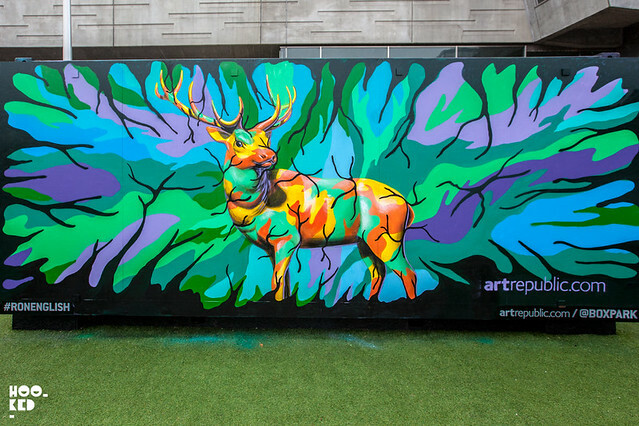 The last week has seen internationally renowned painter and street artists Ron English in London for the release of his Camo Deer in Autumn edition in collaboration with ArtRepublic. The new edition created with Fine Art Printmakers, Modern Multiples in Los Angeles became an intense labour of love for Ron, involving 28 hand created screens, it was the last print created under the supervision of master printer Richard Duardo, who sadly passed during its execution. To mark the launch of Camo Deer, a retrospective of English's most celebrated works, curated by art republic went on show at BOXPARK’S upper level gallery space. 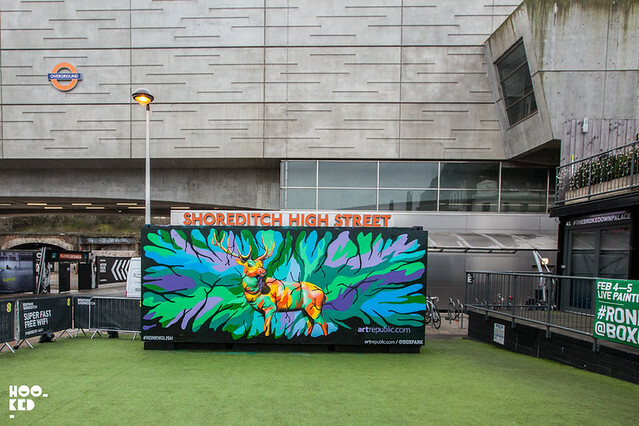 In addition to the show, one of Boxpark's shipping containers was transformed into a massive canvas which saw Ron English re-created a life sized version of his camo deer over a number of days during his visit. Boxpark managed to grab some time with Ron for a short video interview which you can watch below. 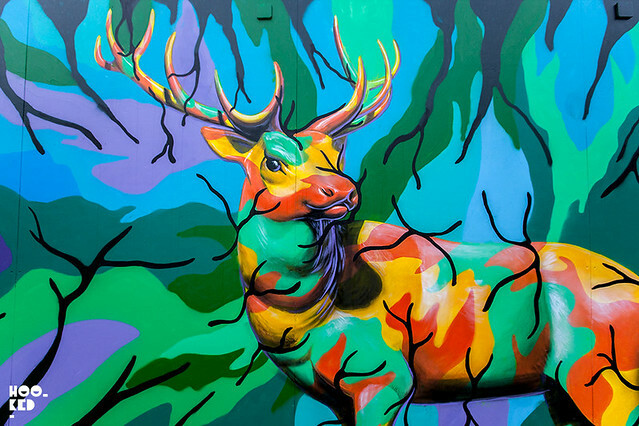 Ron English's Camo Deer in Autumn is available from Artrepublic's pop-up gallery space in Boxpark until the 8th February or directly from their website here. 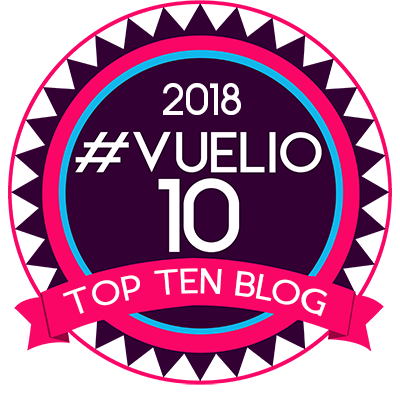 And finally if you are feeling lucky, Artrepublic are offering you the chance to WIN your very own CAMO DEER, just head over to their competition webpage and enter your email here.